Johnny Rutledge is the founder and President of Rutledge Financial Partners, LLC and an Registered Representative with LPL Financial. 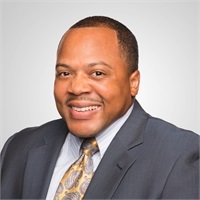 With more than 15 years of experience in the financial services industry, he is passionate about the opportunity his career provides to make a positive impact in other people’s lives. Developing long-lasting relationships with sports and entertainment figures, families, executives, and business owners, he offers a comprehensive range of investment and financial services. Johnny first started his career in 2001, working as a commodities broker with a private firm in Florida for seven years. After moving to North Carolina with his family, he worked with Edward Jones as a financial advisor. He opened the first Edward Jones office in Wesley Chapel and built a successful practice from the ground up, working with hundreds of clients for six years before becoming independent. Working with LPL Financial, he formed his own firm, Rutledge Financial Partners, in Matthews, North Carolina. Johnny holds FINRA Series 7 with LPL Financial and his Series 66 registration with LPL Financial and Independent Advisor Alliance. Johnny is an Accredited Asset Management SpecialistSM. Actively involved in his community, Johnny serves as a member of the Weddington Optimist Club and the Union County Chamber of Commerce. Outside of the office, Johnny spends much of his time with his wife, Shirley, and their son, Jaylyn, and niece, Shamaya. He enjoys attending sporting events, especially football, as well as playing golf and traveling the world.